Hi lovelies! How are we all doing on this almost 2011 day? I'm in northern Illinois, hanging with my future-family. This trip has consisted of a lot of playing Wii tennis (I'd never played a Wii before, and now I'm 6/10ths of a tennis pro...go me! ), eating tons of food, and a lot of talking about babies (my future sister-in-law is preggo with twin boys!). I've also been scanning pictures like there's no tomorrow; Eric's parents bought a new scanner, and I have these wild DIY project ideas for the wedding, which include Eric's family pics, so I've been spending time going through all their tons of boxes of family pictures. 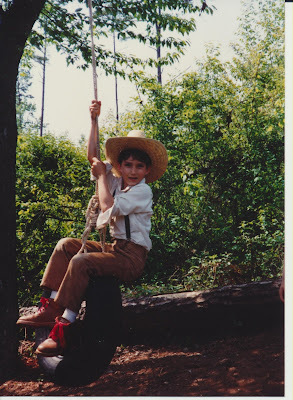 I had to share this one of Eric, uh I mean, Tom Sawyer...how cute was he? 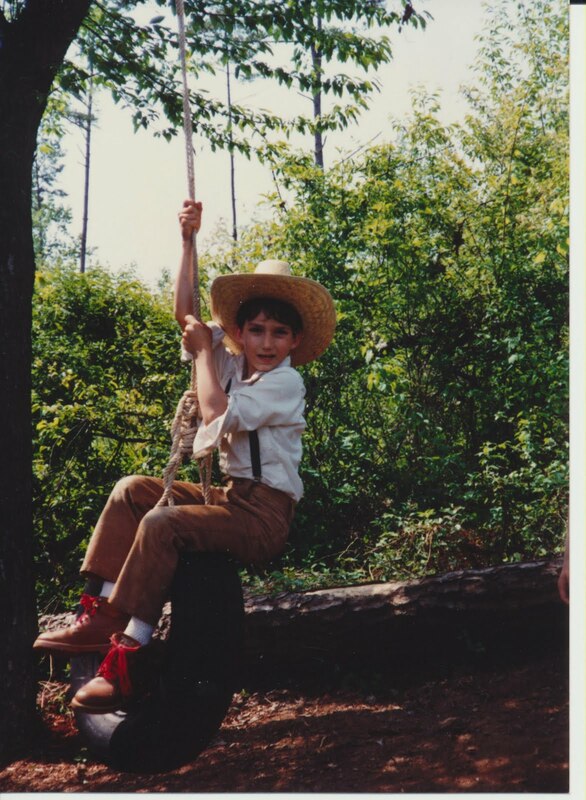 What's your fave pic of yourself as a kid? Jenny and I are thinking of recreating baby pictures, with us as adults, this year...wouldn't that be funny?